A couple of new scanned images has surfaced and it features the newest and upcoming Best Match combos for Kamen Rider Build. First image gives us a clear look at the 3rd set of the Remix Riders series featuring Kamen Rider Build RabbitTank Sparkling, Kamen Rider Build KaizokuRessha, Kamen Rider Build OctopusLight and Kamen Rider Close. 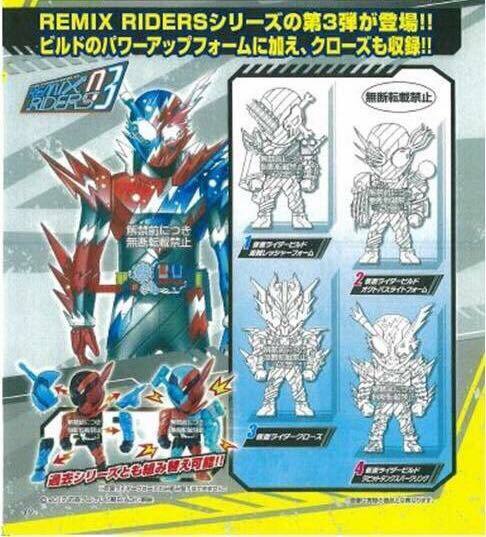 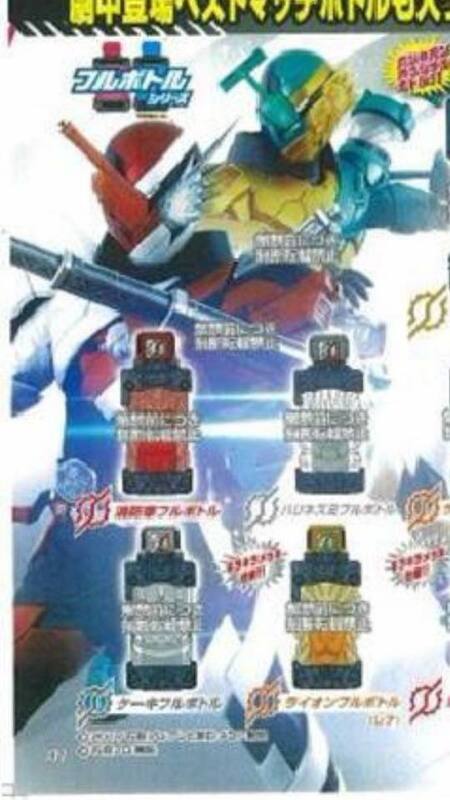 Final images gives us a blurry look at Kamen Rider Build FireHedgehog and Kamen Rider Build LionCleaner.